by Eugene Gendlin, Ph.D. Describes the use of focusing in psychotherapy in great detail and is helpful for both therapists and clients. 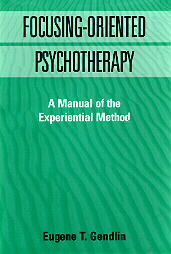 The second half of the book discusses the integration of Focusing with many other therapy proceses.